Many people expect our community to feel like it needs to hide every time something happens  but repeatedly we have shown them that we are not to be bullied, we are not to be threatened, we are not to be terrorized. We are strong and resilient and we will always show up to be ourselves because we know we have a right to a dignified existence and a dignified life, Rep. Omar said to applause. The speech didnt stay uncontroversial for long, however, as she shifted to a more aggressive position. Rep. Omar turned back to New Zealand, saying that many of us know this isnt a one-off incident and that many Muslims were holding their breath and waiting for something like this to happen. Addressing the ban immigration from terror hot spots, Rep. Omar repeatedly referred to it as a Muslim ban, despite the fact that it is not a ban on every, or even most, Muslim nations. Rep. Omar has conveniently called for Immigration and Customs Enforcement  as well as the Department of Homeland Security  to be defunded. YouTube link to Omar speech is here. I say raise hell. Make people uncomfortable, Rep. Omar said to the excited audience. Maybe to see how to raise hell she should go there first to make sure of her facts. Straight back to HELL where most muzzies belong. 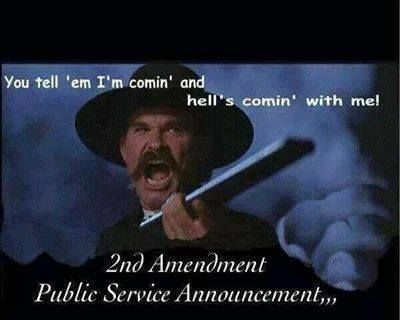 And trust us on putting you there if you look for violent trouble. BTW, idiot, COULD CARE LESS means that you care somewhat. Learn to use the language. Better yet, just go away, mad or not, just go away. islam’s very existence makes me uncomfortable. I would recommend they NOT get in my face. She is not a representative of Minnesota. She is from a sh!thole country called Cedar/Riverside in Minneapolistan. I go through there everyday. They should fence it off and require a passport for entry. So, to me, I say raise hell. Make people uncomfortable, Rep. Omar said to the excited audience. Sure sounds like a call to JIHAD in AMERICA to me. ARREST her. Darn shame if any rioters got shot whilst rioting, a darn shame. Actually, no, it wouldn’t be. Best thing we ordinary citizens can do is shoot rioters AS THEY ARE RIOTING and while they actively (in our faces) threatening us, our stuff and our neighborhoods. Puts the kibosh on others wanting to riot in the future too. Lookit how proud Nancy is of the creepy, evil-eyed, rag-head. bowing to Omar's specific request to serve on the F/A Committee. Americans, remember, all the safeguards that protect Americans security are being read by these Islamic terrorists. DEMOCRATS FALL DEEPER INTO ISLAM'S "WE HATE-AMERICA" PIT. Kudos to Gateway Pundit and Cassandra Fairbanks. It was a brave and dangerous thing to do to infiltrate the speech of this terrorist democrat. After reading what omar said I can see why she does not want people to know. She needs to be arrested and charged with treason and sedition. I thought martyrdom was the the highest honor for a Muslim. Facts don’t matter to either Leftist or Jihadist ... they’ve got rhetoric on their side. Feh. Idle threats. But best she be careful what she wishes for. This creepy woman has convinced herself SHE and SHE alone makes policy for the US. The rag-headed creep has an agenda no one could ever imagine. Omar has been very busy-----setting up her world-wide terrorist connections. Here she is, just a few weeks after her election to Minnesota's state legislature. 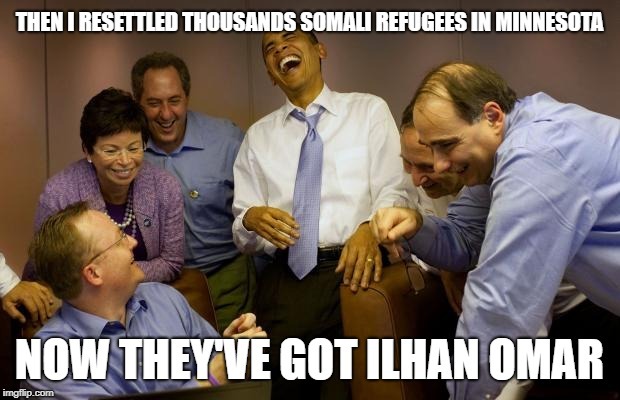 The sap-happy Omar is chatting up then-Somali President Hassan Sheikh Mohamud, a favorite for re-election. 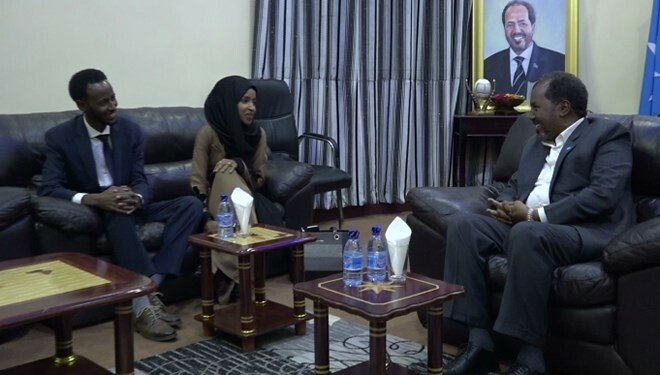 He reportedly invited her---a state legislator--- to appear beside him prior to the Somali election taking place. The Minn legislator Endorsed Somalias New President. Four Days Later, Omars BIL Had a Powerful Job in the Somali Administration. privy to US security reports from Omar's current position on the House Foreign Affairs Committee? Duh. A foray into foreign politics, should have disqualified her from getting US security clearance. 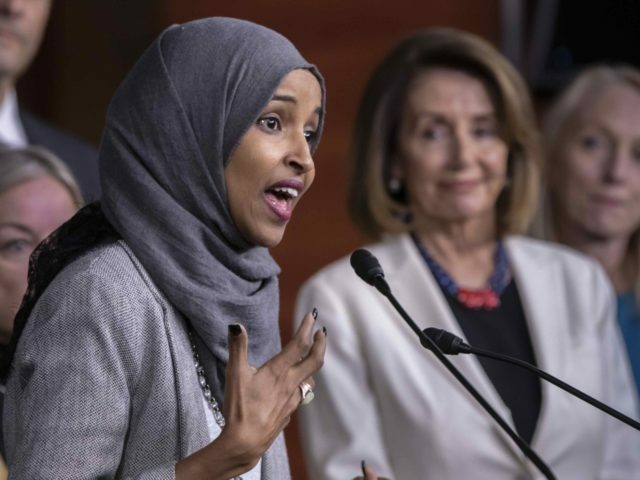 Free Beacon Report----Democratic freshman Rep. Ilhan Omar (Democrat--Minn.) has been holding a series of secret fundraisers with groups that have been tied to the support of terrorism, appearances that have been closed to the press and hidden from public view. The content of these speeches, given to predominately Muslim audiences, remains unknown, prompting some of Omars critics to express concern about the type of rhetoric she is using before these paying audiences, particularly in light of the lawmakers repeated use of anti-Semitic tropes in public. Omar recently spoke in Florida at a private event hosted by Islamic Relief, a charity organization long said to have deep ties to groups that advocate terrorism against Israel. Over the weekend, she will appear at another private event in California that is hosted by CAIR PAC, a political action committee affiliated with the Council on American Islamic Relations, a group that was named co-conspirator in a massive terror-funding incident. Omars appearance at these closed-door forums is raising eyebrows due to her repeated and unapologetic public use of anti-Semitic stereotypes accusing Jewish people of controlling foreign policy and politics. With Omars popularity skyrocketing on the anti-Israel left, it appears her rhetoric is translating into fundraising prowess. It remains unclear what Omar has told these audiences in her private talks. Free Beacon attempts to obtain video of past events were unsuccessful, and multiple local news and television outlets in Tampa where Omar spoke to Islamic Relief last month, confirmed they were unable to gain access to the closed door event. Islamic Relief has come under congressional investigation for what lawmakers have described as its efforts to provide assistance to terrorist group such as Hamas and the Muslim Brotherhood. The charity has been banned by some countries as a result of these ties. On Sunday, Omar will hold another meet and greet in Irvine, Calif., for CAIR PAC. Those wishing to hear Omar speak are being asked to donate anywhere from $50 to $250 dollars, according to a flyer for the event. The CAIR event also appears closed to the press. Rep. 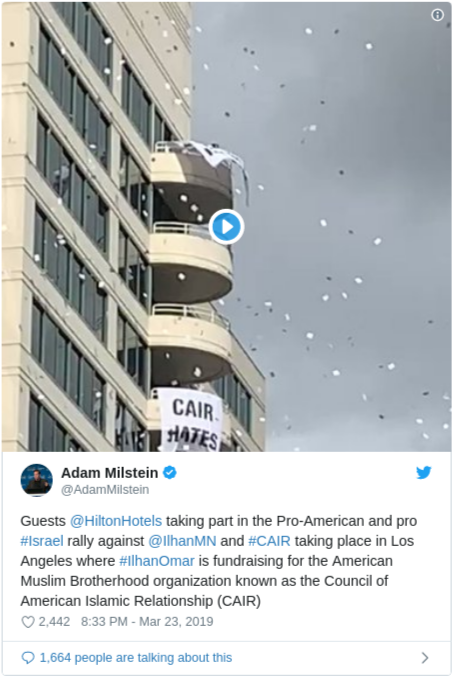 Omars presence as a keynote speaker to raise funds for Islamic Relief USA, whose parent organization and chapters have documented ties to terrorist organizations, demonstrates that she has learned next to nothing over the last few weeks when she was reprimanded by your office and by other Democrats for posting ugly, anti-Semitic attacks on Jews and their organizations, the pro-Israel groups wrote in a letter send to House Foreign Affairs Committee chair Elliott Engel (D., N.Y.) and House Speaker Nancy Pelosi (D., Calif.). About a year and a half ago, on Sept. 18, 2017, a relatively unknown Minnesota state representative flew to New York City to hold a closed-door meeting with the president of Turkey, Recep Tayyip Erdogan, who was in town for the 72nd U.N. General Assembly. This meeting of now-Rep. Ilhan Omar, D-Minn., with Mr. Erdogan, the despotic ruler of Turkey, went almost entirely unreported, as it was not open to the press and Omar was not a high-profile figure. Since then, photos of the meeting surfaced on social media, but it largely appeared that there was no report detailing what happened during the hour-long meeting. But one local Minnesota paper that covers the Somali community did receive access to the Erdogan-Omar meeting. That publication is the relatively obscure Tusmo Times, a Somali paper that covers the Twin Cities metro area. Abdirahman Mukhtar, its founder and editor, wrote a story in the Somali language discussing the meeting. For reasons unknown, the piece has since been deleted by the Tusmo Times. However, a copy of the report was obtained from archive.orgs Wayback Machine and translated by One Hour Translate. Harboring muzzies in our country is at our own peril. She says she is a second class citizen but her Islamic lawfare and individual liberty and the US Constitution are incompatible . Its improbable she would have this level of power and influence in her birth nation. Only a place like the USA or other western nation that allows freedom is a place were she could be where she is and what here handlers want. She is allowing herself to be used as a wedge to make allowances/gloss over the darkside of Islam and be able to create Islamic zones of control. Islam does not play at all with other philsophies or religions once in control. Friggin’ ‘RAT “refugee”. Wake up America! Please wake up!